23, 12 Mar 2009try asking the store where you got it. ask them if its the unlock version or they just unlock ... morethanks..where did you buy ur iphone? my phone model is MB496T/A..i search the net they said it is officially unlocked...come from italy?? but the seller in MOA said that i should not update my iphone because it will be lock..=/ i bought my iphone not sealed...it already activated..
pinoy, 11 Mar 2009hi! how can i know thats my iphone is legally unlocked? 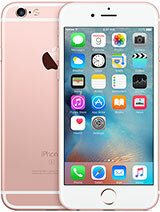 i bought my iphone in d philippines..m... moretry asking the store where you got it. ask them if its the unlock version or they just unlock the iphone by their cellphone technician. 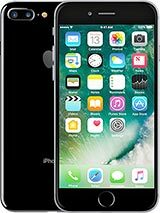 i have seen many iphones in sm megamall one in globe that is definitely lock to them and the other by some store who sells it unlocked. i ask them where they got it they told me they got it from the u.s. and its lock to at&t, that their technician unlocks it. 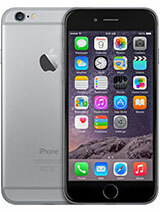 the rule is never buy an iphone when the box is not sealed. if its not sealed its definitely opened and unlocked only by the store technician. meaning you cannot update its software version because it will lock again. they bought it to apple abroad sealed and lock, what they do is opened it, unlocks it by their technician and put it back to the box and sell it. thats the history of the illegally unlocked iphone. mine, i bought mine box is still sealed with plastic and never opened, im the one who opened it at home. and its unlock. i activated it, done ready to use. Is there call recording function..? Indonesian carrier Telkomsel will be offering the iPhone 3G on March 23, and Maxis will launch it in Malaysia on March 20. 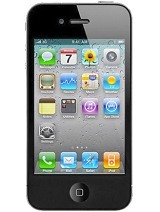 The Apple iPhone 3G will be selling for nearly $800-900 USD and only can be purchased with credit card. Anonymous, 11 Mar 2009Yeah I heard about the palm software , but I dont know if its built on it , and the symbian is... moreSymbian will be open source soon, at the moment manufacturers have to pay a licencing fee to use it. The money the Symbian company was making from licencing wasn't covering costs so they were going broke. Nokia stepped in and bought the company they will be using it to start the Open Symbian Foundation, where the symbian company's intellectual property (IP) will be released as open source. For anyone who is interested, or doesn't have any idea what everyone is debating about, follow the link. Its only a short article and quite worth the read. Anonymous, 11 Mar 2009Palm is building a whole operating system built on WebKit as it's open source any improvements... moreYeah I heard about the palm software , but I dont know if its built on it , and the symbian is it going to be build on it ? Anonymous, 11 Mar 2009they use WebKit in browsers (its not even a browser), and apple started the project , but as I... morePalm is building a whole operating system built on WebKit as it's open source any improvements are available to everyone. Like Symbian, soon will be when the Symbian foundation launches. is your accelerometer works accurately? mine is a little bit off? pinoy, 11 Mar 2009hi! how can i know thats my iphone is legally unlocked? 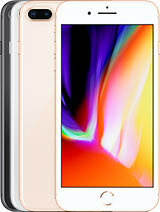 i bought my iphone in d philippines..m... morego to apple support page for the iphone and write your phone serial number in the search space . Anonymous, 01 Jan 1970hi! how can i know thats my iphone is legally unlocked? 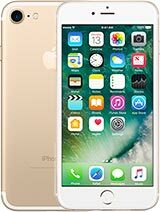 i bought my iphone in d philippines..mall of asia..my iphone firmware is 2.2..how can i knw that i can update my phne wid out being lock? thnks! iphone is only great if you're just surfing the net with 3g/wifi. play games and run application. other than that its a crap phone with crap camera. you can't carry dis fone to night club or party to take photos aren't you? don't embarrasss yourself for doing that. Tae, 11 Mar 2009can i charge the iphone without a computer?like apple mcbook,etc.pls help.........yes you get outlet chargers from any Apple Store.. Anonymous, 11 Mar 2009thanks for all your response... i guess i will buy iphone here in the philippines...under glob... moretry to get unlocked one ,and before u buy it go to apple support page and write the phones serial number to check if its unlocked or u can pay to unlock it . Anonymous, 11 Mar 2009thanks for all your response... i guess i will buy iphone here in the philippines...under glob... morebuy the legally unlock iphone 3G. i have it and its better than those lock to networks. im using a smart sim and i can update its software version without being lock again because its really the unlock version by apple. if you buy from globe, its lock ofcourse, but i think spending that much money to a lock phone is not fair, whats the sense of spending that much and you cannot even use it completely in other countries. 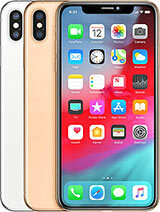 if you buy iphone thru your mom in the u.s. definitely you will unlock it here in the philippines, but once you unlcok it,you can never update its software because it will will go back to its original software and will lock again. Yes, you can charge your iphone without computer by means of USB POWER ADOPTER.